Chris Anderson found himself keeping goal for a West German fourth-division club at 17. He managed to hold on to the starting position for a couple of seasons, earning a few Deutsche Marks and watching the game from up close. Today he's an award-winning professor at Cornell University, where he teaches political economy and political sociology. He consults with clubs about football numbers and his writings appear on his Soccer By The Numbers blog and other football publications, including the New York Times' Goal blog. Who are you? What's your soccer background? And how did you get interested in the statistical side of the sport? Chris Anderson: I am primarily an academic who just happens to know a little about both soccer and about statistics. I was born and raised in Europe, so soccer was everywhere when I was growing up. Not to date myself, but the 1974 World Cup in Germany was a formative experience for me. That's when I started playing. Eventually, I quit and became an academic, but fortunately, the analytical tools I use in my "day job" as a social scientist can easily be applied to soccer data. I read Soccernomics (by Simon Kuper and Stefan Szymanski) and was hooked. So last year during the World Cup, I started playing around with some data and writing about them on soccerbythenumbers.com. Since then, it's taken on a life of its own. Together with a colleague from another university, I am currently in the process of writing a book about the game using statistical evidence. As a former professional goalkeeper in Germany, how did your experience on the pitch help you in analyzing numbers off of it? Well, I wasn't all that professional. I was a good-enough 17-year-old player who was plugged into the senior side of a lower division team one weekend when they were desperate for a goalie. I played well enough, so they kept playing me. Because I was low on the totem pole, unfortunately I only got paid if we won points (I was literally paid in cash after the match for each point we won -- and this was before a win was worth three points). I certainly think playing can help in the sense that you have an intuition for what you expect to see in the numbers -- if you've seen guys do certain things over and over, you'd be surprised not to also see them in the data. I actually think it's helpful I was a goalie: lots of time to watch from up close and think about what was happening. Have you done any statistical work with international or club teams? If so, what type of analysis were they most interested in? I've been sworn to secrecy on that one. But my sense is, generally speaking, that clubs want very specific kinds of things or don't always know what they want. So, for example, there are people working for clubs who don't quite know what to make of the data revolution in soccer but want to get in on it. They've read Moneyball, but the clubs they work for don't really have an infrastructure that helps digest and communicate quantitative information, and they don't always have good ways of building it into their day-to-day decision making. For them, it's a steep learning curve in terms of how to think about stats, data, what have you, and what it's useful for and how to incorporate it into the club's structure (is it scouting, is it match analysis, etc.?). Then there are clubs that want very specific things. Right now, the biggest interest seems to be in the area of recruitment -- tell me which player is better or how much a player is worth. This kind of work is focused on the transfer market. What are some statistics you think teams and clubs should be looking at more? With these stats in mind, what should we as fans be looking for with our favorite teams while watching matches? I'd encourage the clubs to stop assuming they know what matters on the pitch. Instead, try to figure out what Bill James was trying to figure out: What produces wins? But that's a really complex question in soccer and as we know, more complex than in baseball. So for starters, clubs should try to figure out how various actions and events relate to one another, and eventually to match outcomes. American fans are ahead of other soccer cultures in their appreciation for stats as a way of seeing the game. I personally think teams and fans should ignore stats like distance covered, or things like possession or pass completion percentages. I don't think they currently tell us all that much. Instead, I think stats for particular areas of the field or in particular situations are very interesting. So, for example, I think it would be quite telling to hear what a player's or team's pass completion percentage in the final third are, or when making forward as opposed to lateral or backward passes. I think fans should demand from you guys at ESPN (and not just you, of course) that particular stats (like pass completion) be put in perspective. How much better or worse is someone performing relative to players in similar positions or situations? By the way, I love the work that you [Albert] have been doing with heat maps, showing teams' different styles of play. It's stats, but communicated graphically. I'm a big fan of pictures to tell the story. As a native of Europe who has lived in the U.S. for a number of years, how do you see the game of soccer evolving in the United States? Where do you see it in five, 10, and 20 years? How do you see numbers fitting in to that evolution? Most people, including myself, would tell you that American soccer is on an upward trajectory. So how do numbers fit into that? I think the U.S. could be -- and actually should be -- the place that revolutionizes the game from a numbers perspective. First, there's the level of clubs and teams. The top clubs in Europe are reluctant to change their systems of scouting and coaching, so they are less likely to innovate and embrace a numbers approach. The MLS or the U.S. national team could be great laboratories for trying some unconventional stuff, and stats could be a serious part of that. I also think that American fans are ahead of other soccer cultures in their appreciation for stats as a way of seeing the game. So fan interest could help drive some of this, and companies like ESPN are great at catering to that. The Five Aside blog is a product of ESPN's Stats & Information Group, which consists of four departments: Production Research, Statistics & Analysis, BottomLine and Analytics. Together they provide accurate and up-to-date information for all aspects of ESPN, including studio shows, game broadcasts and digital media. Soccer Power Index is ESPN's exclusive algorithm that is designed to forecast international and club soccer events. SPI uses recent results to predict tournaments, individual matches and entire league seasons. 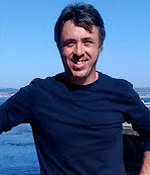 Paul Carr covered the 2010 FIFA World Cup in Johannesburg and is the soccer lead in Production Research. Follow him on Twitter @PCarrESPN. Jonathan Costa is a Statistics Analyst who helped plan and execute S&A's coverage of the 2010 FIFA World Cup. Albert Larcada is an Analytics Specialist who does advanced statistical research with the intention of better modeling and forecasting sporting events and leagues. Follow him on Twitter @adlarcada_ESPN. Jacob Nitzberg is a Statistics Analyst who covered the 2010 FIFA World Cup and specializes in data integrity. John Carr is a Statistics Analyst who is a member of the SIG Soccer Team and covered the 2010 FIFA World Cup. Jason York is a Statistics Analyst who worked on the 2010 & 2011 World Cups. He was born in Stuttgart, Germany. Tough night for the U.S.